Made of 100% natural non-toxic and eco-friendly bamboo, very durable. Multiple Purpose, More features are for you to find! 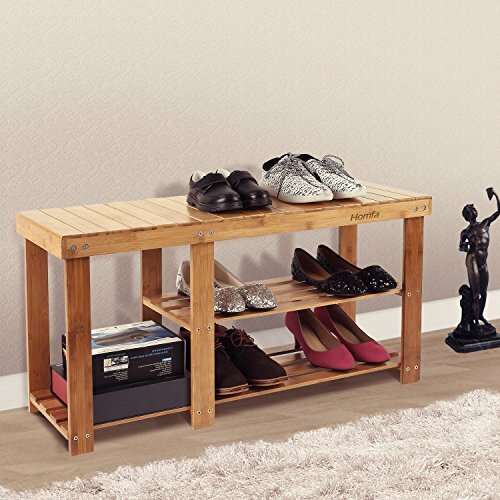 Our bamboo rack is suitable to be placed in the hall, living room, bedroom, balcony, porch,etc. 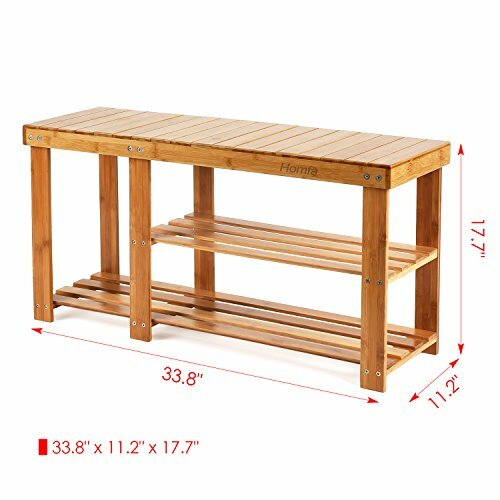 Rounded corner and counterbore surface, delicate design, so this rack will not cause harm to your belongings or your children. Well made, sturdy and durable, easy to clean and maintain. 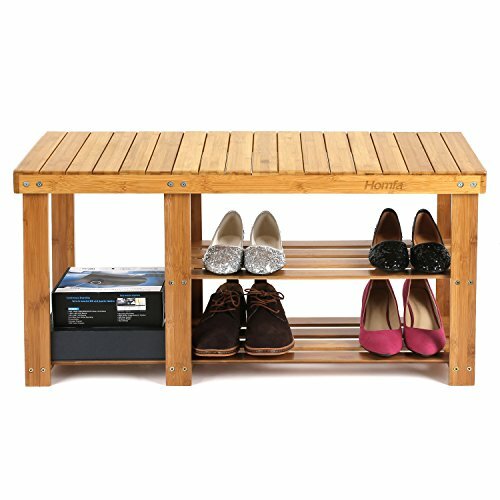 Dual purposes, you can use it as a shoe rack and seating bench according to your preferences. ● Self-tapping screws are supplied in the package. ● Please take care when you are intall this shoe bench, make sure that all holes are aligned between the panel. ● We suggest that when you are dealing with the self-tapping screws, you have to twisting the screws very hard and make them are aligned. ● Otherwise, the screws will warp, even the product break if not deal with properly.